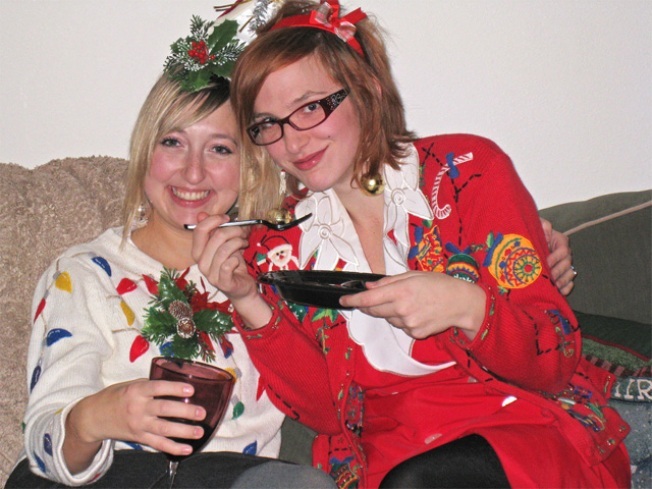 Ugly sweater gals are kinda hot. So there is a use for that "unique" sweater grandma gave you. VaVi Sport and Social Club is having their first ever Holiday Bar Crawli-day on Dec. 5 in Pacfic Beach. Ugly sweater attire is requested. The cost is $20 and if this seems a little steep to be spending on a pub crawl, especially during this holiday season, keep in mind that a portion of the proceeds will go to AJ's Kids to collect toys and funds for the Rady Children's Hospital. After all, it is the season of giving and what better way to do so than with a fun night out? The crawl will begin at Typhoon Saloon at 12:30 p.m. and hit seven of P.B. 's beat bars including The Tap Room, Tavern at the Beach and Cabo Cantina. Crawler's will also recieve the official VaVi Holiday Bar Crawl-iday T-Shirt, a wrist band for prizes and giveaways, Miller Lite drink specials, their names on the "I benefited AJ's Kids" web page and of course, a great time. If you're interested, find more information about the crawl at GoVaVi.com and don't miss your chance to put that sweater to good use!